The Kids Ink SportsPlex is Dartmouth’s BEST location for fun-filled birthday parties! Our facility offers families many opportunities for exciting, fun, and physical parties, regardless of the season or the weather outside. Our gym and adjoining party room can accommodate groups of all sizes, and children of all ages! Customized sports, activities, and themed parties are available. The options are growing every day! 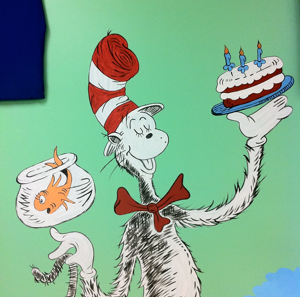 Families enrolled in Kids Ink daycare centers receive $25 off their birthday parties! 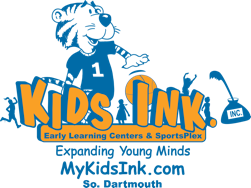 Early reservations are recommended when booking your Kids Ink SportsPlex party. We host several parties each weekend, but all parties are private functions. Weekday and evening parties are also available. Call (774) 929-6565 or email mykidsink@hotmail.com to reserve a date and time. (Ask to speak with Jenn or Courtney). ALL reservations require a non-refundable $50 deposit. The balance is due two weeks prior to your party.